We arrived in the United States in August of 2001 - little knowing how our lives were going to change. Things in South Africa were unsettled and we hoped for a better future for our children. We came over with a program that brings teachers to the United States from all over the world. After the initial awe and amazement at this beautiful country, and the wonderful hospitality, we started to feel a little homesick. Things were quite different, pace of life was much faster, and our family was still in South Africa. However, it did not take us long to find our feet and fall in love with this wonderful country. Three years passed very quickly, and, despite all our best efforts, we were not able to stay past our 3 year visas. I was 7 months pregnant with Zane, my youngest, and we had to sell everything and leave - all within a 7 day period. We stayed in South Africa for a year and were thrilled to be able to come back. I came over on a different visa, in the hope that we could work on getting our green cards. I went back to the same school I taught at and continued working there until 2011. I found out that the school system wasn't prepared to help me with my green card. That is when I gave everything to the Lord and asked Him for help. I sent out my resume and left it in His hands. A couple of months later, I received a call from BCA inviting me to an interview. The rest is history! This is my fourth year here, but my 21st year of teaching. I am thrilled to be at such a wonderful school where I've met amazing people - staff, parents and students. God willing, I will be able to retire here one day!! We have started the whole difficult process with our green card. The first stage was where we had to test the job market by advertising my position all over - the newspaper, the internet, on job websites, the school website, etc. This was done over a period of 2 months. God had His hand on this because, as you all know, there are many people looking for teaching jobs, especially at a Christian School. Well, no qualified applicants applied! How amazing is that! A total miracle. We are now in the 2nd part of the process and it is just a waiting game. This part takes between 4 and 10 months to come through. Officially, my visa expires in February, but I am believing and trusting that God will give us another miracle and cause it to come through before then. I cannot see Him paving the way, creating these miracles, and then sitting back and letting it all crash! Please believe with me and pray with me. This has been a process of faith building and trust. I don't understand why it has been so difficult for us, but I trust my God with all my heart and soul, and I know that His plans are not to harm but to give hope and a future. I believe my hope and future is here at BCA. I am going to trust in His goodness and mercy for this. Well, as it turned out, the paperwork did not come through and we are back in South Africa. You all walked this journey this year with me, and we came to realize that God's plans are not always our plans. However, if we can trust in Him, the journey will be covered with His blessings. You were all those blessings that He covered me with! On my last day, we cried together, and laughed together, and I realized what amazing students and parents I have. You blessed me with flowers, pictures, sweet notes and money to help us on our journey here. We have now been here for almost 3 weeks. I constantly think of you all and pray over you, as you finish this tumultuous year (with breaks in school due to crazy weather), and make your journey over to Middle School. I know you will all finish this race well - I trust in that. We have been in South Africa for 5 months now, and I am understanding more of why we were sent here. Did it work according to OUR plans? No, of course not! 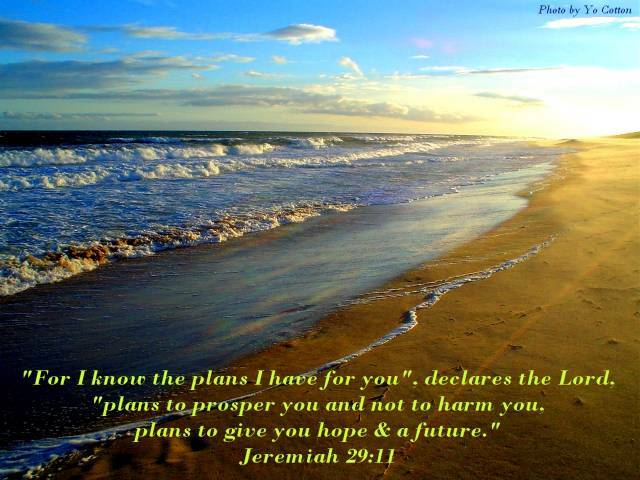 How puny are our plans when God has so much more in store for us? He has shown us how to serve, how to accept the situations He puts us in, and how to find joy in everything, no matter what the circumstances. He has taught us trust and faith in His decisions, even when they haven't been easy. We were allowed to re-file for a year's extension of our visa on June 18th. We paid for premium processing which would give us a decision within 15 days. We received notification that it was denied due to lack of evidence. Our lawyer had handed in the usual papers that they do in these cases, but for some reason, they were not accepted. We were, obviously, devastated, because we were told that there wouldn't be any problems with this. However, we decided that God must have had another plan for us. (And the plan actually turned out to be us staying longer to help my mom get through recovery after a hand operation!). The lawyer told us that we needed to re-file, and they would send in more information. We prayed about it, and when we questioned some things with the lawyer, he said that his company would pay for the premium processing - what a Godsend and an answer to prayer! After it was re-filed, we waited for a week before they told us they needed MORE information!!! Talk about draining our last nerves! The lawyer sent off some info and told us we would have to wait 15 days for a decision. You can imagine the thoughts going through our minds .... what is God's plan for us? Is His plan for us to stay here in South Africa? We didn't feel a peace about staying, and felt that God had showed us that He was sending us back to the USA. So, we rested, and trusted in Him. 3 days later, yes, just THREE, we got a decision. Approved!! So much rejoicing on this side. We're coming home! However, we have one last step to go. We need to go for an interview at the embassy where an officer will decide whether to give us a visa or not. The approval does not mean we have a visa. So we continue to wait, and trust, and see what God has intended for us to do here. Once the visa is approved (which, in faith, we believe it will be), we will make plans to change our tickets and come home. God willing, it will be in time for the new school year where I will meet my NEW babies for this school year. God is good .... ALL the time!! Well, the interview is done! Our visas were approved. So let me share MORE of God's goodness and grace. I prepared thoroughly for the interview, making sure I had EVERYTHING they may need. We walked in with this huge, fat folder and prepared to all be interviewed. Well, just I was interviewed and it took a total of 3 minutes! We were told that our visas would be ready in 3 days and that we could make plans to fly out to the USA that weekend. I was so excited because then I could be back before the workdays and before school started. Unfortunately, it was not to be. God had other plans. We could not change our tickets (it was cheaper to buy a return ticket than 2 sets of one way tickets, so we had to change the date of return). We were told that we either use them or lose them (and I wasn't prepared to wait until December!!). The usual cost to change a ticket is $300 per ticket and then the difference in price between what we originally paid and the new price. I started to panic and contacted a few friends of mine for advice. I was of the mind to simply put the tickets on my credit card so that I could come home. God had other plans. A dear, and very wise, friend told me to give her all the information so that she could do some research. She then told me to rest and go to bed. God used her to speak wisdom into my heart. So I did, and woke the next morning to an email telling me that we were COMING HOME!!! She has phoned Delta (and, of course, God had gone before her), and the people she spoke to had their hearts touched by God. They waived the change fees and all that had to be paid was the change, which was just over $1,000 (compared to the nearly $8000 for new tickets!!!). AND, the tickets have been paid for us! Now, the only problem was that the tickets were for September 1st, and not in time for school. I couldn't understand why, but after 5 months of listening and learning from God, realized that He Knew More Than Me!!!! Well, there was a delay with the visas and ours wouldn't be ready by the weekend! Hmmmmm......! As it turns out, we are picking them up tomorrow (8/22/14) and then we are good to go. So we have another 11 days before we fly out. Time to say our goodbyes. Time to rest in preparation for another move. Time to rest and wait on the Lord for His guidance in whatever lies ahead. Our next step is waiting for the green card ... we should know by December/January whether this step we are in has been approved or not. Trusting in faith that it will. God can do great things! After that, we apply for our immigration visas. If, however, God has other plans, our present visa will expire at the end of June 2015. But I'm not thinking about the future because God is already there. Looking forward to an amazing school year with amazing students!! !